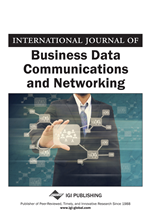 We propose a multimedia server allocation problem in the 3G wireless networks as a generalized assignment problem (GAP) with an objective of minimizing the total multimedia applications access cost. Because the GAP is a well known NP hard problem, we use the Lagrangian relaxation (LR) heuristic to compute a lower bound on the total multimedia applications access cost. For small size problems, we solve the multimedia server allocation problem optimally and compare the optimal solution with the LR heuristic. Our results indicate that the LR heuristic provides a very tight lower bound and may be useful for estimating lower bound on the total multimedia applications access cost for a large scale problem where finding an optimal solution is very difficult.